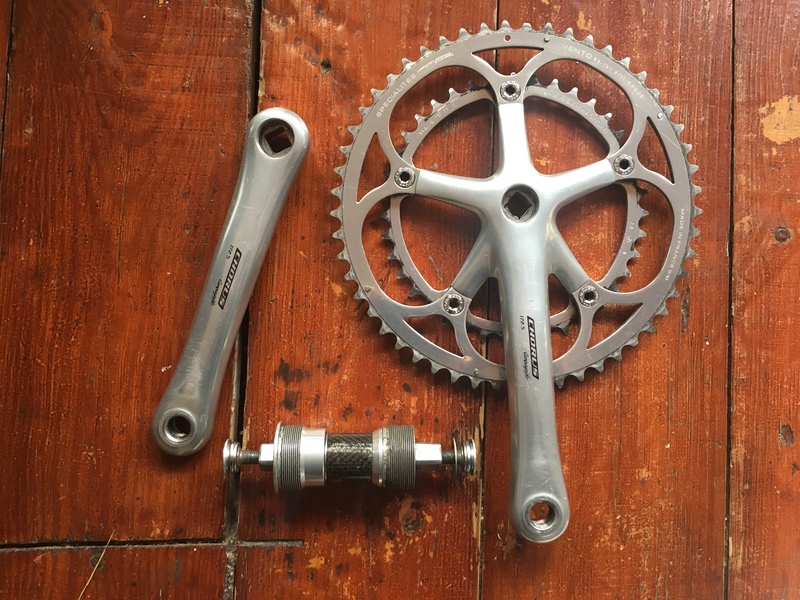 Looking to complete a build, have a Century Grey 53:39 chainset but silver would look nicer, happy to swap for that or let me know what you have? 10 speed preferable as I'm running 11. Certainly is - came of my old Colnago Lux Titanio.....I'll send you a PM and we can sort out payment...OK? So thanks to Hermes' ineptitude, a lovely Chorus chainset and BB has dissappeared en route to me. I have a Record one. 10spd I believe but no BB. Is the BB Italian threaded?